This ambitious and fascinating history considers why, in the space of sixty years between 1850 and 1910, football grew from a marginal and un-organised activity to become the dominant winter entertainment for millions of people around the world. 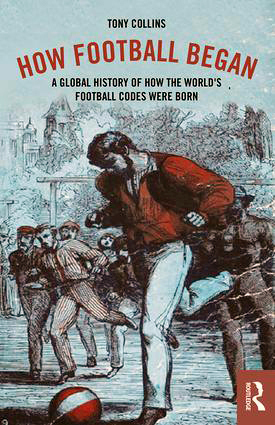 The book compares the development of each of the major forms of football (soccer, rugby union, rugby league, American, Canadian, Australian and Gaelic), in the context of the growth of commercialised leisure in the late nineteenth century, a product of rising living standards, the second industrial revolution, breakthroughs in mass communications technology and the new modern democratic spirit of the age. Important reading for students of sports studies, history, sociology, development and management, this book is also a valuable resource for scholars and academics involved in the study of football in all its forms, as well as an engrossing read for anyone interested in the early history of football. Tony Collins is Professor of History in the International Centre for Sports History and Culture at De Montfort University, UK. His previous books include Rugby’s Great Split, Rugby League in Twentieth Century Britain, and A Social History of English Rugby Union – each of which won the Lord Aberdare prize for sports history book of the year – as well as The Oval World, his magisterial global history of rugby. In 2009, Social History of English Rugby Union was selected as a book of the year by the New Statesman, the Guardian and the Independent on Sunday.